Even English American supporters were somewhat surprised by this news, and Parliament began to debate on February 4 what punishment should be dealt. Should they try to punish only individuals, or had the situation in Massachusetts become so tenuous as to demand order established over the whole colony? Not surprisingly, the most important defender of the colonies was Edmund Burke, and he attempted to take charge of the debate. 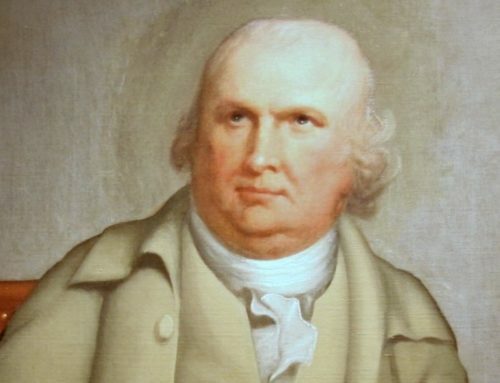 Through an ally, he offered a resolution for the repeal of the Tea Act, citing it as the source of the colonial disturbance, but Parliament voted against them and the measure, 182-89. Ignoring Burke and his allies, Parliament, with the support of the crown, passed five of what the Americans called the Intolerable Acts. 1. “The Boston Port Act”—closing Boston to all trade, including food and fuel. Only the King could move men in and out of the town. 2. “Act for Better Regulating the Government of the Province of Massachusetts”—turning all government over to monarchically appointed positions and suspending all popular election. 3. “Administration of Justice Act”—no British (native) could be tried in a Massachusetts course, but would be tried in England. 4. “Quartering Act”—which allowed the quartering of troops in private homes. 5. The “Quebec Act”—in fairness, the British saw this as unrelated to the American colonial problems, believing itself liberal in its behavior toward French Catholics. The Americans, however, saw this as a means to raise a Catholic army in the north to descend upon the colonies. While there’s much to be explored and detailed here—especially regarding Burke as well as the details of each of these acts—I’m most interested with this essay in seeing these acts as the foundation of the movement toward American political independence. And, yet, independence came haphazardly. In the following century, Alexis de Tocqueville would proclaim, with an immense profundity and deep learning, that the securing of all liberty in the western tradition had come from sacrifice. Men cannot enjoy political liberty without some sacrifice, and they have never won it without great effort. And, yet, of all the scholarship ever accomplished regarding the American revolution, hardly anything has been done analyzing the actual transition in the colonies from royally (using the term loosely here)—sanctioned to the development and acceptance of extra legal governments, 1774-1776. Additionally, the Annapolis Convention called for an embargo on all trade to and from England and her American colonies. Should another colony refuse this call, the Annapolis Convention recommended breaking off all ties with the colony and isolating it from the rest of North America. The Convention also called for a suspension of debt repayment to British creditors. In a very important sense, and with only the slightest exaggeration, we might very well claim the American Revolution began in Maryland on this day. In a strange set of circumstances, the Annapolis convention also sent these resolves on to Virginia, and the Virginian House of Burgesses presumed these to come from the official, legally sanctioned government of Annapolis. The following August, it enacted similar resolves and the First Continental Congress followed in line that fall. 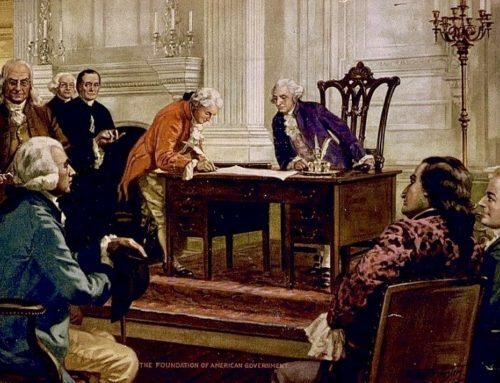 Indeed, in almost every way, the Annapolis meeting of May 25, 1774, anticipated the critically important Association agreements and resolves of the first Congress. Once such action had been taken in Philadelphia, associations and committees formed throughout the colonies to protest in the same fashion. Though a group of disgruntled men on May, 25, 1774, their actions influenced Virginia which influenced Philadelphia which influenced localities and communities throughout America. For most Americans, today, we look at the First Amendment to the U.S. Constitution as a means to secure our religious liberty and free speech. The Amendment, of course, is much more than this, and we ignore, at our own peril, one of our greatest inheritances, the right to associate with one another, the right to assemble, and the right to petition. It would have been impossible for those Marylanders to predict that their actions would serve the future republic so brilliantly. Nor could they predict that their convention on that afternoon would assume all governmental authority in Massachusetts by the spring of 1776. They only knew they were angry and that, as good men, they would protest in the most effective way possible. I submit that as readers of The Imaginative Conservative and believers in ordered liberty, we must do so much more to understand the relationship of association and liberty. We must also recognize that the seemingly powerless can make massive changes, can shift the very course of history itself, through a return to right reason, first principles, and manly argument and confrontation. Our own precious and mighty association of petition and protest, The Imaginative Conservative, was founded by an angry, righteous, intelligent Marylander. Coincidence?